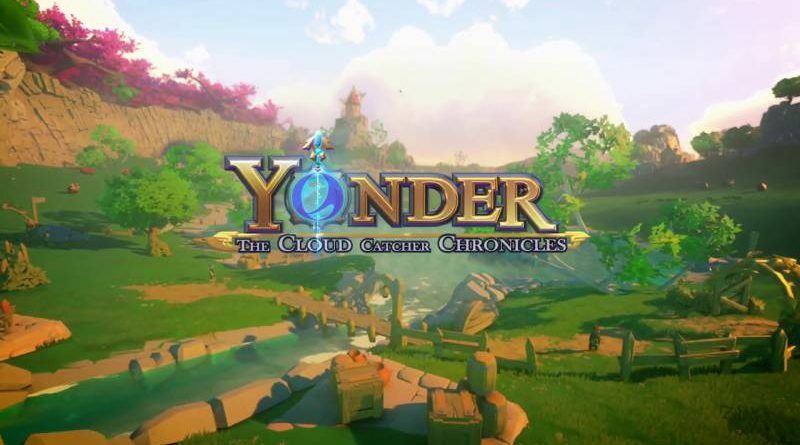 Prideful Sloth has announced that their open-world adventure Yonder: The Cloud Catcher Chronicles is coming soon to Nintendo Switch. It will be available digitally for $29.99 USD on the Nintendo eShop and physically at retail for $39.99 USD. The Nintendo Switch version will include a new feature-packed photo mode allowing you to share beautiful images of the world with your friends. Gemea is a land filled with natural delights. The luscious forests, quiet shores, and frozen peaks are home to adorable creatures such as Fabbits and Squombles. These wild wonders beckon to those with a penchant for exploration. When a curious dark miasma floods the flora and fauna, it’s up to your hero to discover the origin of the strange substance. Create your own hero or heroine and embark on your journey of self-discovery across the gorgeous island and aid the people in need of your assistance. Your hero quickly befriends the locals and discovers magical sprites that can dispel the dark energy known as Murk that plagues Gemea. Try your hand at farming, crafting, cooking, brewing, and fishing to create a sustainable lifestyle and help the people of the land. Yonder’s story is spread across eight distinct biomes, each with its own day/night and weather cycles, hidden sprites, unique animals to befriend, and quests to accomplish, all at the player’s pace. There’s always something to discover behind every corner.